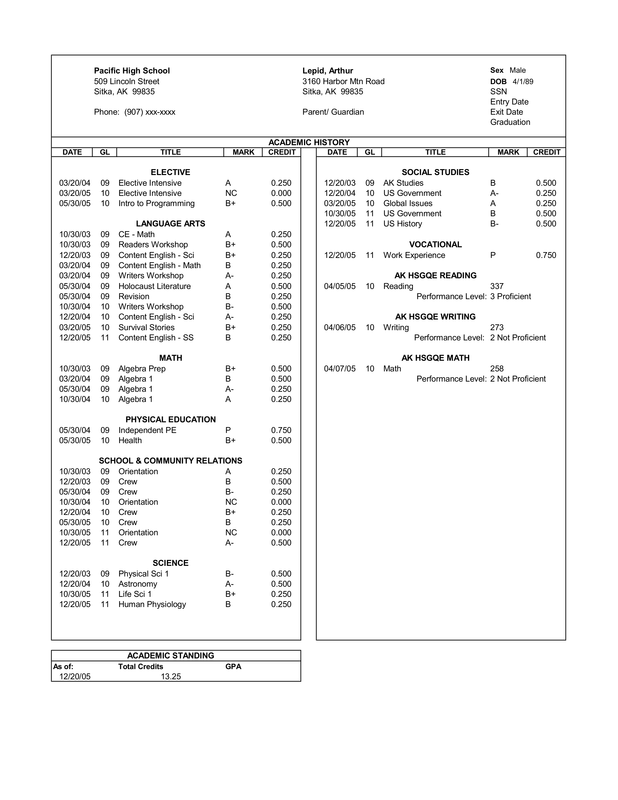 Your Transcript is your high school's official document of all your semester grades, freshman through senior year. Your high school sends this to all of your colleges as proof of your grades and GPA. Transcripts can have errors, so verify yours regularly. ​Your freshman year grades are the most powerful grades for "setting" your GPA. As you add more grades, their power goes down (law of averages), so get the best grades you can early on in high school because pulling up a GPA is very unlikely. Your GPA in June of your Junior year is the GPA you apply to college with! Freshman and sophomore year grades are the most powerful. Get as many A's as you can in freshman and sophomore year when the classes are the easiest and the grades are the most powerful. You do not need a 4.0 to get into college, so don't drive yourself crazy trying to get one. If you can get a really high GPA, it does help you in admissions and with scholarships. Aim to get the GPA that will get you into the schools you want to go to. Senior year grades matter; many colleges ask to see January grades and they can rescind their offer of admission. Start out with few advanced classes and aim to take 1 more each year. Increase your course load rigor each year a little, if you can. Your GPA needs to be your number one goal in high school; it is the most important factor in admissions. Get any extra help you need to succeed. What: All your high school transcripts (from all schools), Community colleges you have attended for credit. How: Your high school guidance counselor has a system for requesting transcripts; follow it, early. TIP: Make sure your college applications are complete before the Early Action and Early Decision dates. Things being in the mail doesn't count. They need to be received and logged by the date.